I am looking forward to class tomorrow! The temperatures have been dropping, and the rain has begun. 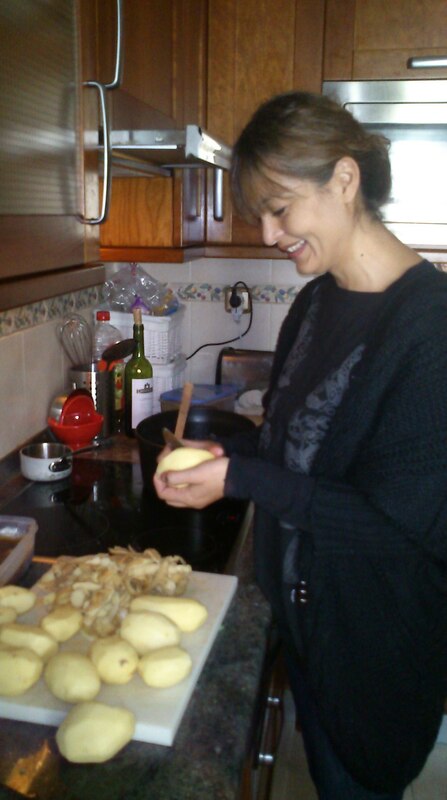 No better place to be than in the kitchen, I say. We’ll steam up the windows and warm our whiskers making several dishes that appear on Basque tables throughout the year, but that are particularly suited to these first days of the rainy season, when one can’t help but be reminded that more rain falls on average here than in any other region of Spain. Our first recipe — Rioja-style Potatoes with Pork Ribs (recipe posts coming soon!) — is a dish typical of the Rioja region, most of which lies just south of the Basque Country, except for the Rioja-Alavesa sub-region, a small piece of the Rioja that overlaps with the Basque Country. This hearty dish starts with a full-bodied sofrito, it incorporates potatoes that are “chipped” through a special technique we will learn called cascar, and it comes together as a complex, earthy stew through the additions of Riojan chorizo, white wine, pork ribs and broth. Our second recipe — Salt Cod in Pil Pil Sauce with Piquillo Peppers — is one of the most emblematic of all Basque dishes. It is as simple as it is fascinating to prepare, with a technique that originated in the cazuelas of early Basque cod fishermen, as their boats rocked and swayed on the oceans. 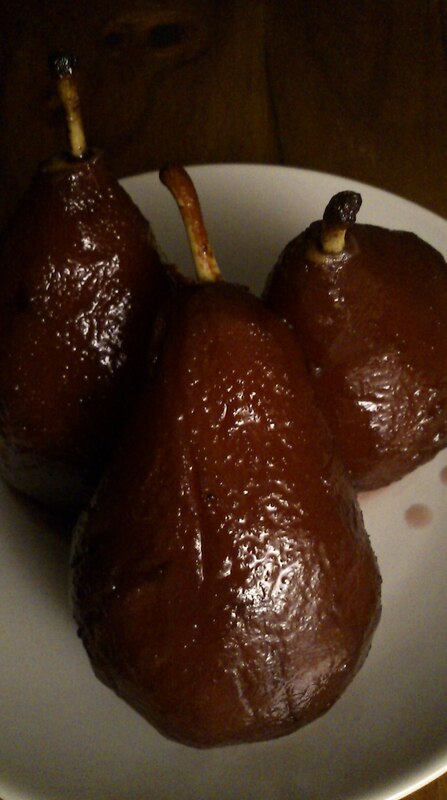 Our third recipe — Pears in Red Wine — is a dessert known throughout Spain, particularly in the northern regions. As the pears poach, the aromas of sweet wines and spices will undoubtedly fill our kitchen with cheer as we look forward to the chilly weeks ahead, cooking elkarrekin. On egin! This entry was posted in Basque Cooking Basics, BCulinary Club USAC Course 2013, Friends and Family, Ingredients and Products, Recipes, Spanish Cooking Basics and tagged Basque, Basque Country, Dried and salted cod, La Rioja, Pork Ribs, Rioja, Rioja-Alavesa, Spain by txikicooks. Bookmark the permalink.